You don't know how good it feels to write again... I missed my blog but my schedule is so busy that I just can't find the time and strength to write something smart, or just interesting. Is there a better way to make an appearance than writing about a trio that I am obsessed with? It is a small but worth mentioning trio by Wet n Wild called Knock on Woods. 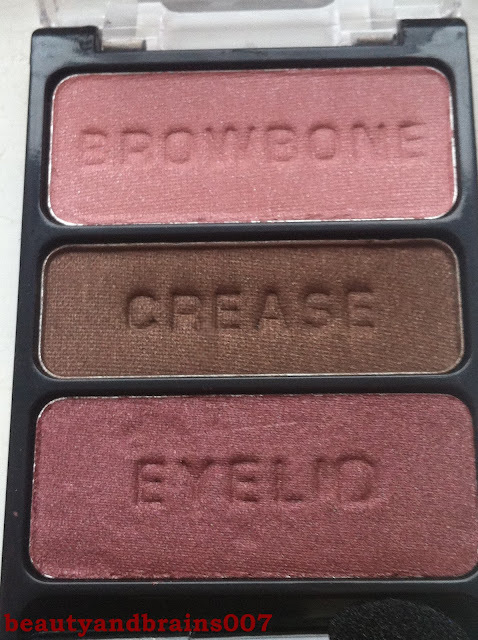 As with all the Wet n Wild palettes, this one also helps you with applying makeup by saying which colour goes where (eyeshadows have imprints- browbone, crease and eyelid). If you peel the back you also have instructions how to apply them. The lightest colour in this palette is browbone colour. It's a pale pink that looks matte but has small silver glittery particles that can't be seen all the time, but in some lighting and angles they appear which makes your makeup even more interesting. This shade is nice, pigmented, soft and applies beautifully. In my opinion, it is a great lid colour. 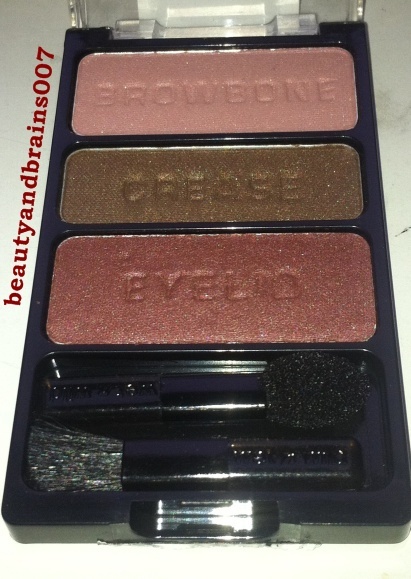 I prefer lighter colours than this one for my browbone highlight and inner corners of the eyes. Of course, it can work as an eyelid colour if you are going for a true smoky eye that is gradient in a way that the darkest colour is by the lashes and on your lids and it lightens by the browbone. I prefer a darker V for daytime. 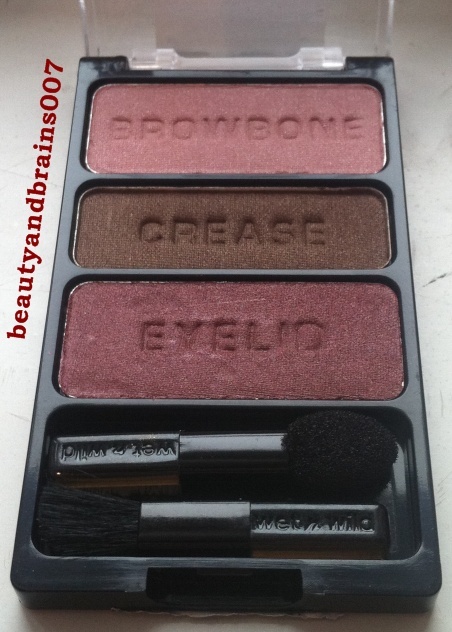 The crease colour looks darkest in the palette but it is not too dark. 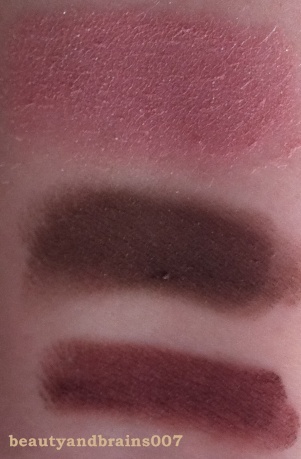 It is not like it is badly pigmented but it is much softer than it looks in the pan. 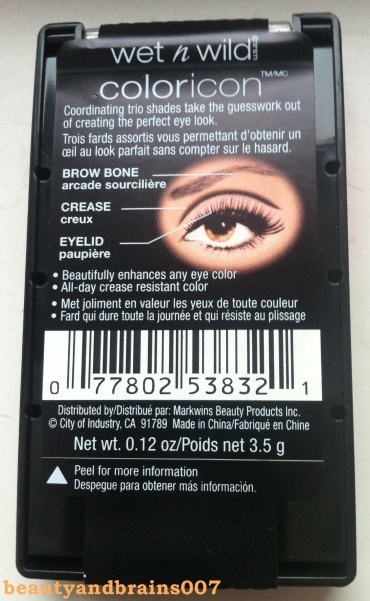 It is a brown colour with a light sheen but I don't think that it would age more mature eyes. The sheen is visible but still very subtle and fresh. It is also very soft, pigmented and nice to work with. 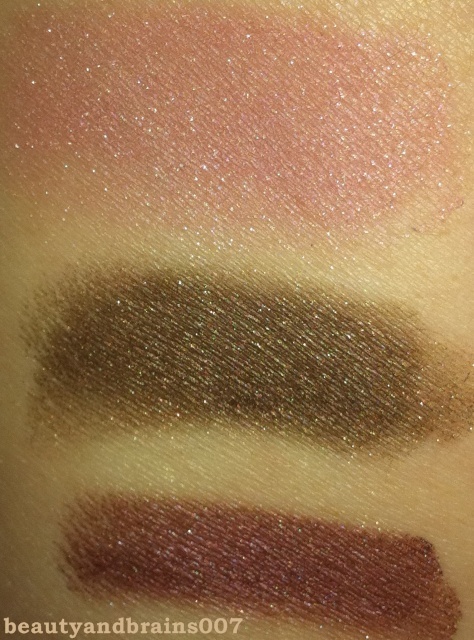 The eyelid colour is very pigmented and the darkest one when swatched. To me this is a beautifull dark wine/plumy shade. 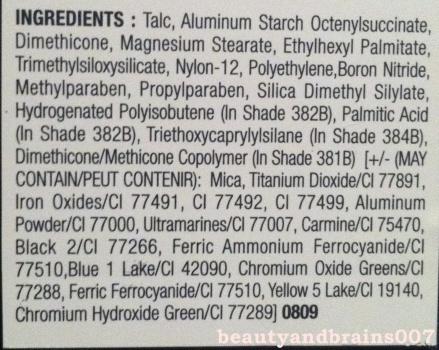 You have to be careful while applying it because it has fallout. But I LOVE IT!!! It comes in a small plastic palette which doesn't look like much but it is sturdy. The quality of the shadows is remarkable and that is what is more important to me. You also get a sponge tip applicator and a small brush. The brush is horrible, don't even try to use it! The applicator is OK but if you have other brushes, use them. Your fingers will be better tools than these two that you get with the palette. I play with this palette all the time and I really like it! 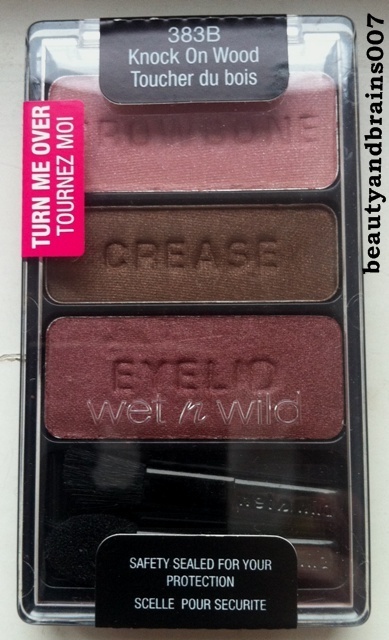 Wet n Wild is a drugstore brand of great quality that unfortunately can't be found in Croatia. You can buy it on Ebay or order it from nonpareil boutique. That is where I get it. It costs $3 but they often offer coupon codes. Of course, you also have to pay shipping, which is about $7 to Croatia but if you order more items, it is not that bad. They offer PayPal (which is a must for me). I am not affiliated with them in any way and all the items were bought and paid by myself. You get 0.12 oz/3.50 grams of product. So... I really like this shadows. They are nicely pigmented, long lasting (8 hours with no primer, with primer- until you take them off) and reasonable priced, especially if you live in the US. They blend well and with an exception of eyelid colour, don't have a lot of fallout. 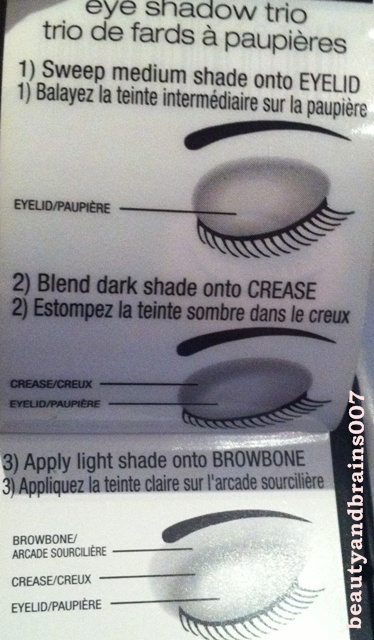 But if you tap off excess before applying colours to your lids, you will not have a problem. The packaging is small but sturdy, good for traveling but I would take an even lighter colour with this palette to use it as a highlight. 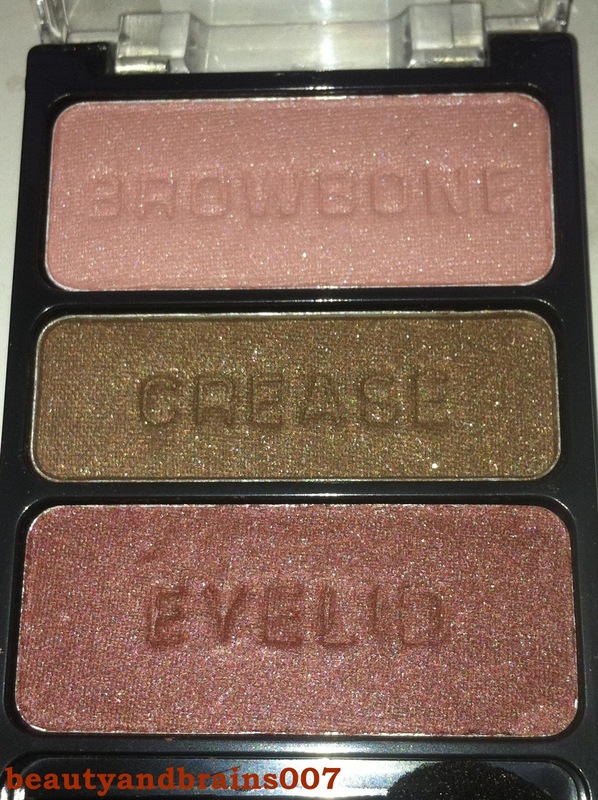 Have you tried Wet n Wild? Are you interested?